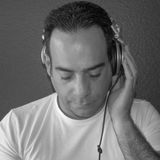 DJ Samer has long been an influential figure in the United States progressive house scene. He has been DJing for more than a decade and his Pangea label has been putting out solid progressive music since 2001. Samer was never fazed by certain genres coming in and out of fashion, he has stuck with progressive sounds throughout and we salute him for that! As a producer Samer is best known for his work with Bill Vines as Evrydaydowners, the majority of their work has appeared on Pangea but also Source Of Gravity and Frik N Frak. The duo has even been remixed by heavyweight producers Chris Lake and Andy Moor. Presently, Samer has endeavored own his own solo artist career. This year, he has managed releases on esteemed labels such as Spundae, Jetlag Digital, frisky, and more.